I have a special treat for my hot little lazy summertime friends! 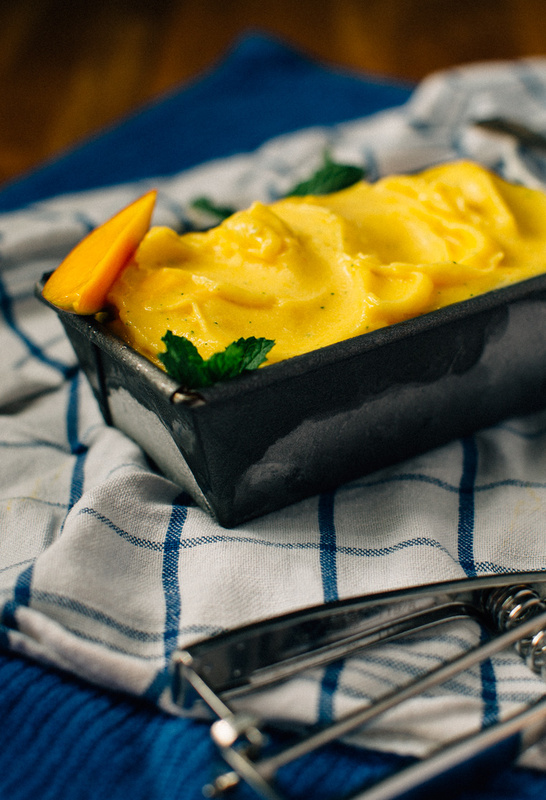 Pretty much 3 ingredient mango gelato that comes together all creamy and dreamy without an ice cream maker. Yay! Let’s celebrate! So I guess it’s technically sherbet but that sounds so 80′s. 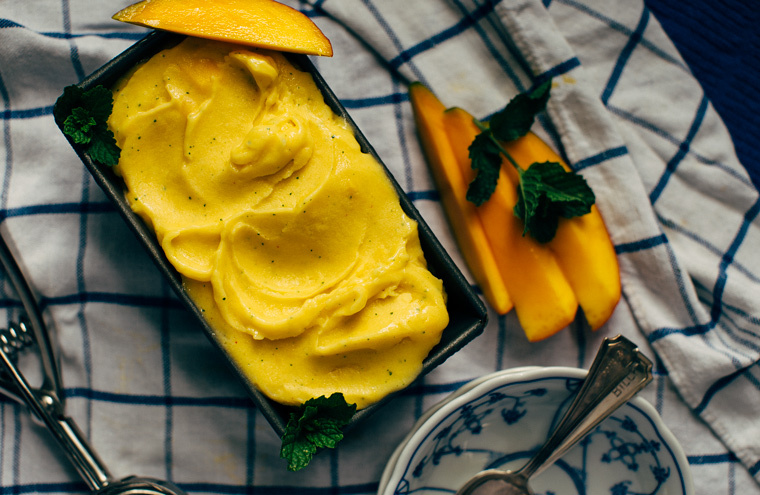 Sorbet sounds nice but this has some creaminess going on. 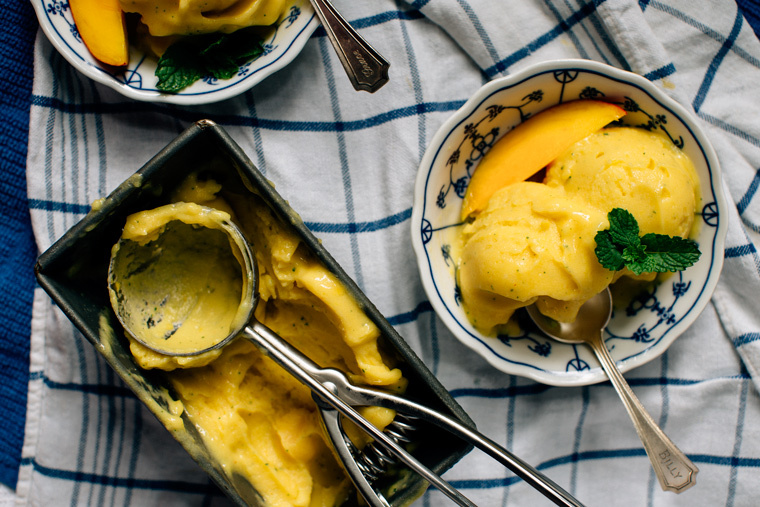 So gelato it is! And it is good! Also, side note: It’s pretty healthy too. With no added sugar, it’s basically just frozen fruit. 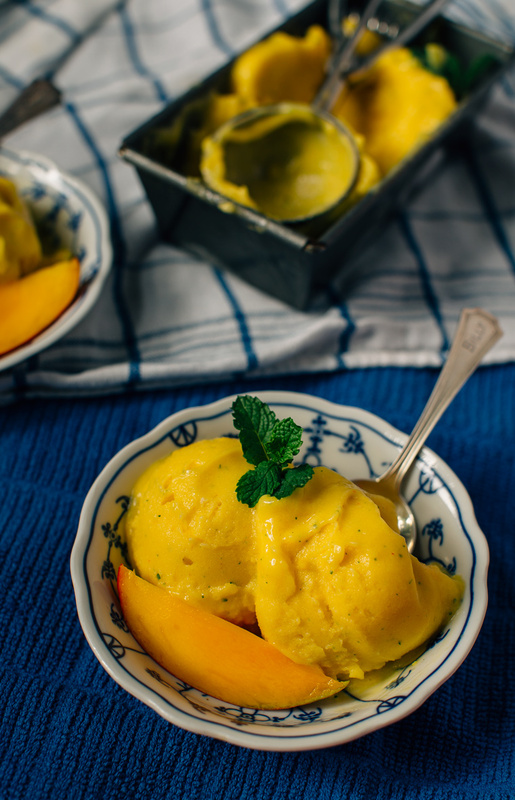 Before you say: ‘but frozen fruit gets all icy and I want creamy’. 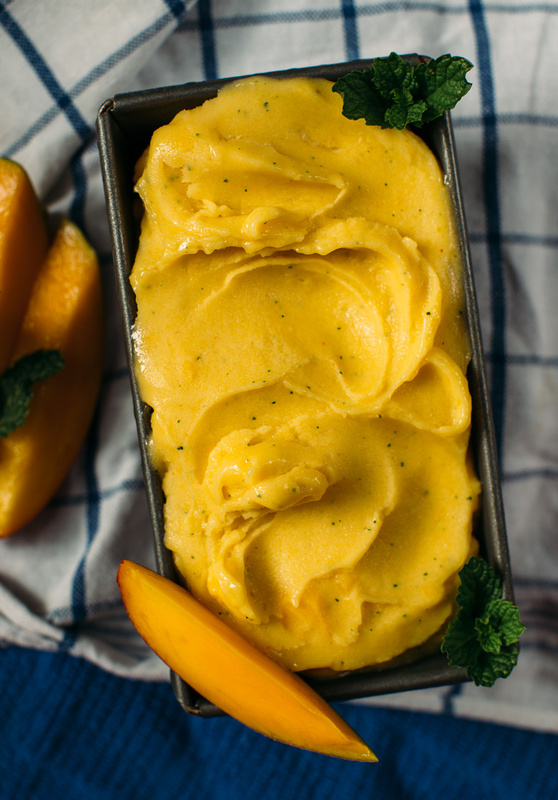 Have you ever blended up frozen mango? It creams up like a dream! Add a little bit of coconut cream and you’re in business! Just look at you, sitting by the pool looking all cute with your fancy gelato that took like 5 seconds to make. Jealous! The mint and cayenne are kinda optional but will take your tastebuds for a spicy cool ride – I highly recommend it. 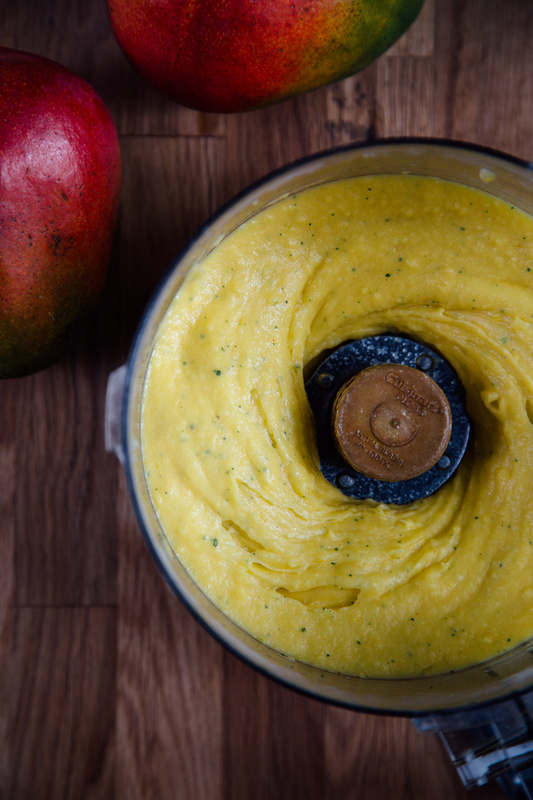 Place all the ingredients in your food processor or high speed blender and blend until smooth. Eat right away or store in a container and place in freezer to firm up a bit. Coconut milk can also be used, it won’t be as rich and creamy as the coconut cream but it’s still really good! What a fantastic gelato, Grace! 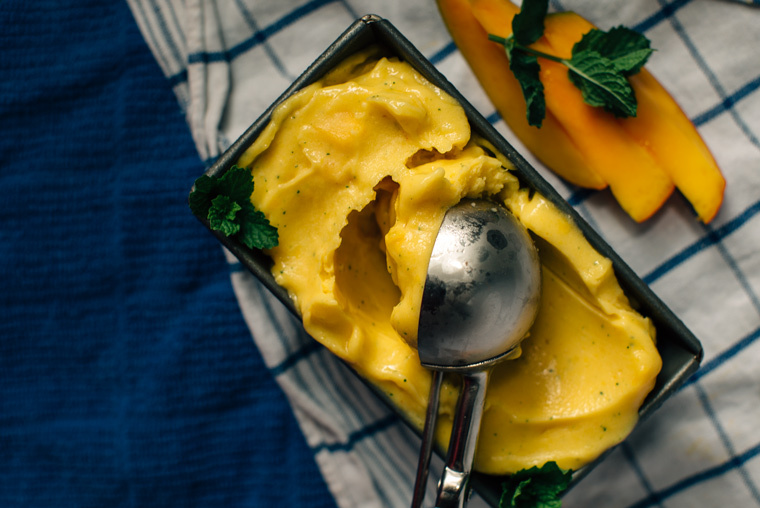 Mango and coconut are the perfect pairing, and I love that it does not require an ice cream maker. Grace, do you mind sending me your e-mail address to wholenourishment@gmai.com? I e-mailed you but not sure it was the correct address! 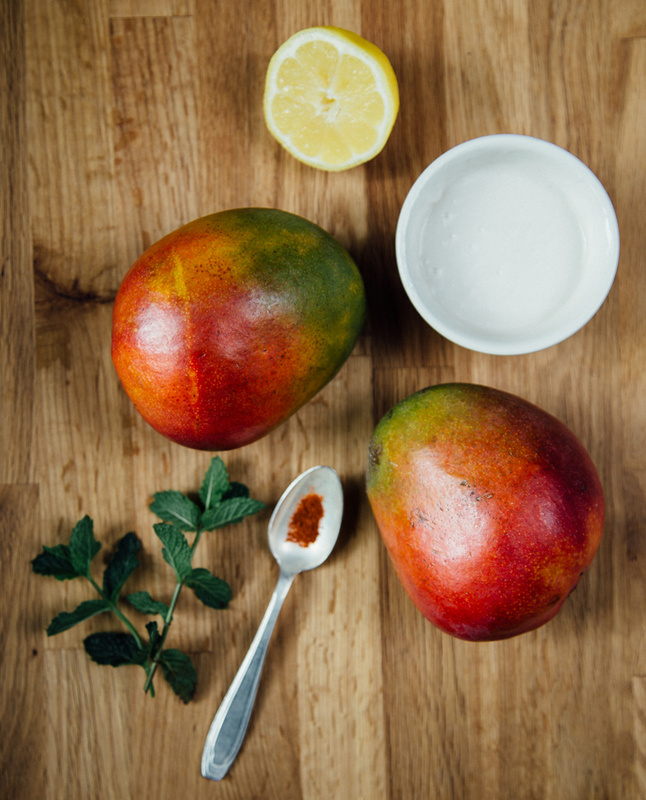 Hi Grace, this looks amazing, love mango!